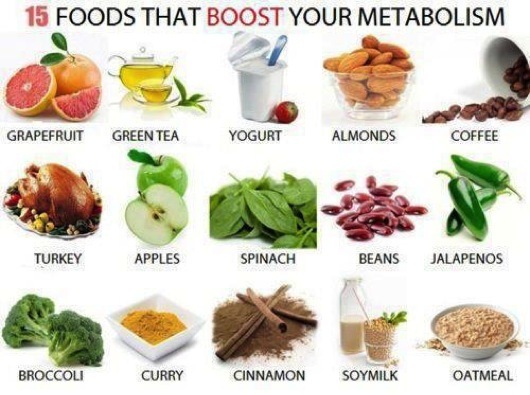 You may be wondering how to boost metabolism. I want to burn the fat off of my belly and lower back. Chances are, you may want to do the same. But, we struggle to find the time in our busy schedules to ‘sweat off the extra pounds and inches’. Here’s our answer: Boost our metabolism to help us burn away the excess fat; a higher metabolism means more results from fewer hours of huffing & sweating. It’s a proven plan, but ‘work’ is still part of the plan. That’s right; we still need to work at it. But, here’s how I see it. Our key success factors boil down to Goals, Focus, and Support. We start with a Goal, we Focus our efforts on sustainable work that actually fits into our lifestyle (long-term), and we get Support from our Nutrition & Fitness Community. I thought of a real-world example of successful Goals, Focus, and Support — On April 20, 2010, the Deepwater Horizon oil rig burst into flames in the Gulf of Mexico, killing 11 crew members and starting an uncontrolled oil spill that spewed 4.9 million barrels of oil into the Gulf. The charred rig sank to the sea floor one mile below the surface, and oil quickly began to have a terrible impact on wildlife, beaches, and the economy in the Gulf region. The President of the United States assigned leadership of the response effort to Admiral Thad Allen (U.S. Coast Guard). During my 25 years in the Coast Guard, I had worked indirectly with Thad Allen and had seen him in the gym after work on many occasions. The guy was a workout animal back when he was a Commander at CG HQ in the 90’s. A no-nonsense, high-accountability, results-oriented leader. He got the job done in 2010: the well was capped in mid-July and the beaches were full of happy tourists on Labor Day weekend. I left my full-time job for 2 months to serve as Chief of Staff for half of the USCG response resources… approximately 800 Coast Guard members working in FL, AL, MS.
My 60-day deployment experience left me proud, full of encouragement, and deeply impressed by the selfless individuals who led and implemented the successful response. Admiral Allen had one ‘Governing Objective’ with thousands of secondary priorities. He was laser-focused on stopping the source of the pollution. Of course, he also had to ensure the safety of the 5,000 responders who worked in 115 degree heat and 97% humidity. He also had to manage the public relations aspect while keeping local politicians informed and engaged, manage the communication throughout the massive response organization that spanned 5 states plus Washington DC, etc, etc. The “Thad-miral” had the support of President Obama and every paid member and volunteer of the response organization. I saw over 1,000 individuals in the Eastern portion of the response area working as one. It was truly unique. No side agendas, almost no distracting petty drama. Very long days. Very few days off. As Chief of Staff, I remember ordering 9 different men and women to take a day off after they had worked over 30 days straight. We needed them to be fresh… not running on fumes. Their dedication was humbling. A worthy Goal, sincere Focus, unified Support. Result = Success. What is Metabolism? It is the PROCESS that transforms food into fuel OR substance (muscle, fat, blood, or bone); Metabolism either burns, stores or builds. It literally “creates” the body that survives the conditions it’s subjected to. So, what about how to boost metabolism? You have some control over your metabolism. An article on Fitness.Mercola makes it clear: when it comes to your Goals of boosting your metabolism, increasing muscle mass, and maximizing fat burning, one type of exercise stands out above all others and that is high intensity interval training. Research shows that 20 minutes of high intensity training, 2 – 3 times a week, can yield greater results than slow and steady conventional aerobics done five times a week. Kris Gunnars is a very bright guy who does a ton of relevant research and runs the AuthorityNutrition website. He talks about how food choices also have an impact on our metabolism. Specifically, Coconut Oil helps weight loss and contains a unique combination of fatty acids with powerful effects on the process of metabolism. It’s one of those foods that burn calories. It is so easy to work it into your daily foods and beverages, too. I’ve learned that there’s a diet (and a book) called the Fast Metabolism Diet. Its author is nutritionist Haylie Pomroy. The Fast Metabolism Diet consists of 2-day phases over 4 weeks where the phases are (1) carbs + fruit, then (2) protein + veggies, then (3) all four of those groups plus some healthy fats… and drink a lot of water daily. I will give this a try and let you know what I find. My basic philosophy on diets is that I try to avoid the word “diet” and its temporary approach. I’m only interested in eating plans that are sustainable for 5 or more years. Why overcomplicate things? But, I’ll stay open minded to some sensible concepts. I like the approach taken by Sarah Waybright, RD (founder of WhyFoodWorks) Sarah advocates replacing refined carbs with a Focus on nutrient-dense options like fruits, vegetables, lean protein and fiber-rich whole grains. This sensible approach offers a diet that’s high in micronutrients while being generally lower in calories than typical eating habits. 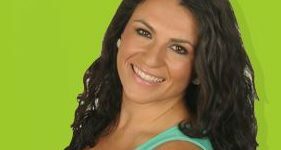 Jessica Lehmann, RD agrees, as she says that it is best to learn how to maintain a balanced, moderate, nutrient-dense eating plan that’s based on a variety of whole, unprocessed foods and that fits your own individual needs and dietary preferences. Staying on plan is not easy. We are imperfect… I know I am. That is where our CommutaVie Support system will help you. Amy Jamieson-Petonic, RD reviewed The Ultrasimple (Detox) diet by Mark Hyman MD. Amy found that the Ultrasimple Diet consists of very healthy foods but is extremely restrictive. It recommends purchasing organic products, which are cost-prohibitive for some people. It may be difficult to follow while traveling or dining out. So, I won’t be giving that one a trial. Mark Sisson is a seasoned veteran in this industry. Mark, the founder of MarksDailyApple sings the praises of healthy fats when he writes that fat is the preferred fuel of human metabolism and has been for most of our evolution. Under normal circumstances, we actually require only minimal amounts of glucose. < Healthy fat, however, should be part of our nutritious metabolism-boosting eating plan.> Mark goes on to say that it is an unassailable fact that muscle burns fifty times more calories than fat, at fifty calories per pound per day. So, remember to Focus on building lean muscle; it will boost your metabolism. So, how to boost metabolism? Can we really increase metabolism with exercise and food choices? My experience has convinced me that the answer is definitely YES. During the past 8 years (from age 40 to 48), I spent about 5 years where 90% of my exercise was ‘steady running only’; no high intensity interval training (no HIIT). I have also spent almost 2 years where 90% of my exercise was HIIT. My afternoon energy level was consistently higher and my overall body fat measurements were definitely lower during the HIIT years. This is due to the emphasis on building lean muscle, rather than just maintaining cardio fitness. Plus, the stress on my knees was greatly reduced during the HIIT years. I’m sold. High Intensity Interval Training is the best use of your workout time. It’s the cardio vs. strength argument, and I found that strength training wins overall. Through actual practice, I learned that the best ratio during an efficient, highly Focused workout is 15 minutes of HIIT cardio followed by a tough 25-minute strength workout consisting of slow, controlled motions with enough weight to really challenge your muscles. It’s 40 minutes. You and I DO have time for that. It’s controlled and sustainable for the long haul. That’s important, my friend! None of us wants to be that 75-year-old person with no muscle tone. People in that situation are at risk of many health problems. This is especially true if you have found that your old workout and diet are not working: Your Goal should be to build lean muscle and commit to high-intensity interval training because it will boost your metabolism and keep burning fat for hours after you stop exercising. Choose activities that burn calories… and that you enjoy. Don’t be intimidated by the sound of HIIT. It does NOT mean go run an Ironman Triathlon! It means get your heart rate racing for a minute or two, then cruise for a few minutes, then repeat… about 4 or 5 times. Then take a shower, tell yourself that you’re awesome, and enjoy the rest of your high-energy day! That’s it! Not everyone will commit to such a simple and effective plan. When you do, you know you’re in the elite minority. Helpful insights — When you’re ready to explore exercise equipment, check out this guide on how to choose exercise equipment written by Jen Miller. It’s very comprehensive and well-researched! OK, so let’s restate the 2 main points and consider our own personal, sensible action steps for the next 2 – 4 weeks.